It’s sometimes hard to imagine how this little project has evolved over the years. We are stronger than ever this year with great student leadership. 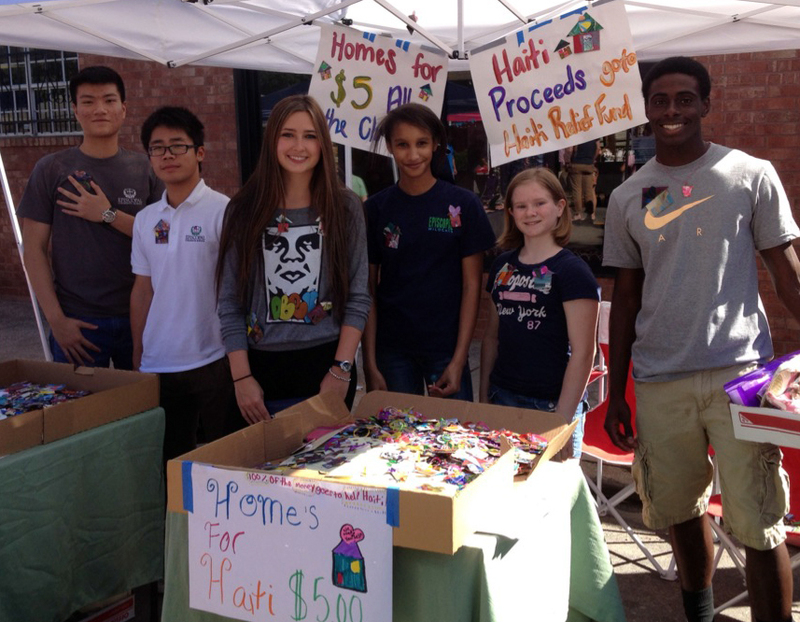 I have students in middle school – high school who come to support our cause for Haiti. I have excellent students who articulate the project well and with passion. 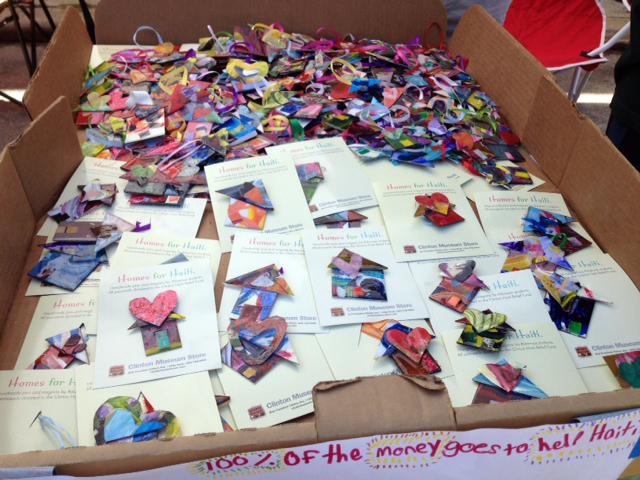 We had over 25 different students for three different sifts sell our Homes for Haiti art pins and ornaments. I had students stand in the road in the middle of the festival and invite festival goers to our booth to hear about our project. Everyone was impressed with the pins and ornaments and our passion for the project. We had people purchase pins and ornaments and some plain straight donations. We turned people on to the needs in Haiti and explained our commitment to Haiti. 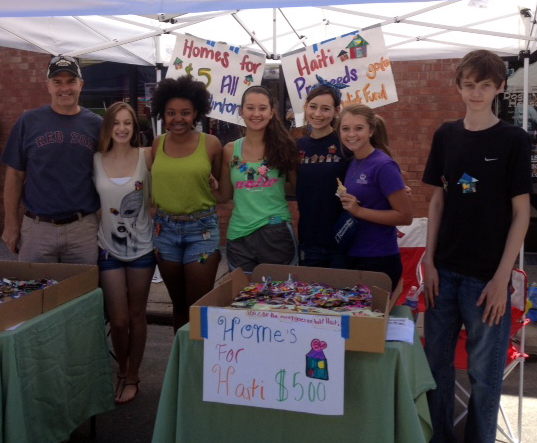 This project is much bigger than raising money for the needs in Haiti. It is also about global awareness, leadership, building self esteem, opening the eyes of others to philanthropic works, and the power of art to change the world. As an art educator I strive to bring what they learn in the art studio into the real world. I want my students empowered to create art and change the world for the better. I want them to embrace an idea and do the hard work to achieve greatness. 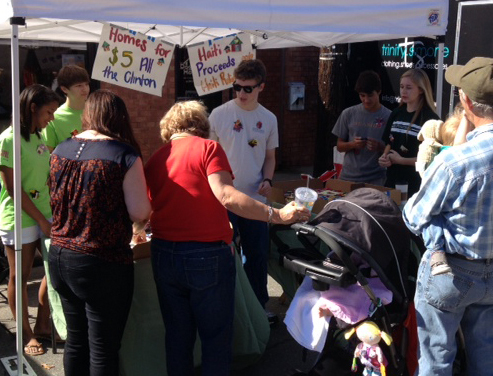 On this beautiful day in Arkansas we raised $1288.25 for the Bill Clinton Haiti Relief Fund. We also got invited to sell our pins at three different events at no charge to help our cause. Seriously- I am exhausted…I spend all week with my art students in class, lots of time after school, and my Saturdays. But I find the excitement in my students contagious and the esteem growth intoxicating. I feel I have found the fountain of youth. Mr. Carr comes to see our good work. The support I get from my students, parents of my students, colleagues, and the community is amazing. Life is good.